Today the pope is regarded generally as the supreme head of the Catholic Church and, among Catholics, as the head of the universal Christian Church. 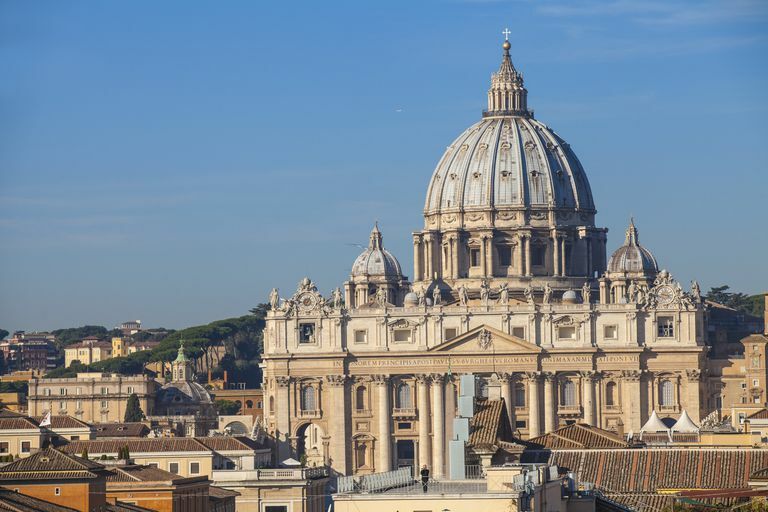 Although principally the bishop of Rome, he is much more than just “first among equals,” he is also the living symbol of the unity of Christianity. Where does this doctrine come from and how justified is it? The idea that the bishop of Rome is the only person who can be called “pope” and presides over the entire Christian Church did not exist during the earliest years or even centuries of Christianity. It was a doctrine that developed gradually, with layer after layer being added until eventually, it seemed to everyone to be a natural outgrowth of Christian beliefs. The earliest moves in the direction of papal primacy came during the pontificate of Leo I, also called Leo the Great. According to Leo, the apostle Peter continued to speak to the Christian community through his successors as bishop of Rome. Pope Siricisus declared that no bishop could take office without his knowledge (notice that he didn’t demand a say in who became a bishop, though). Not until Pope Symmachus would a bishop of Rome presume to bestow a pallium (a woolen garment worn by a bishop) on someone outside Italy. At the second ecumenical Council of Lyons in 1274, the bishops declared that the Roman church possessed “the supreme and full primacy and authority over the universal Catholic Church,” which of course gave the bishop of the Roman Church quite a lot of power. Not until Gregory VII was the title “pope” officially restricted to the bishop of Rome. Gregory VII was also responsible for greatly expanding the power of the papacy in worldly matters, something that also expanded the possibilities for corruption. This doctrine of papal primacy was further developed at the First Vatican Council which declared in 1870 that “in the disposition of God the Roman church holds the preeminence of ordinary power over all the other churches.” This was also the same council that approved the dogma of papal infallibility, deciding that the “infallibility” of the Christian community extended to the pope himself, at least when speaking on matters of faith. Catholic bishops drew back a bit from the doctrine of papal primacy during the Second Vatican Council. Here they opted instead for a vision of church administration which looked a bit more like the church during the first millennium: collegial, communal, and a joint operation among a group of equals rather than an absolute monarchy under a single ruler. They didn’t go so far as to say that the pope didn’t exercise supreme authority over the church, but they did insist that all bishops share in this authority. The idea is supposed to be that the Christian community is one that consists of the communion of local churches which do not entirely give up their authority because of the membership in a larger organization. The pope is conceived of as a symbol of unity and a person who is supposed to work to ensure the continuation of that unity. There is, naturally, the debate among Catholics about the extent of the authority of popes. Some argue that the pope really is like an absolute monarch who wields absolute authority and to whom absolute obedience is due. Others argue that dissent from papal pronouncements is not only not forbidden, but is necessary for a healthy Christian community. Believers who adopt the former position are much more likely to also adopt authoritarian beliefs in the realm of politics; insofar as Catholic leaders encourage such a position, they are also indirectly encouraging more authoritarian and less democratic political structures. Defense of this is made easier by the assumption that authoritarian structures of the hierarchy are "natural," but the fact that this sort of structure actually evolved in the Catholic church, and didn't exist from the beginning, undermines such arguments completely. All we have left is the desire of some human to control other humans, whether through political or religious beliefs.